Have I seen this before? 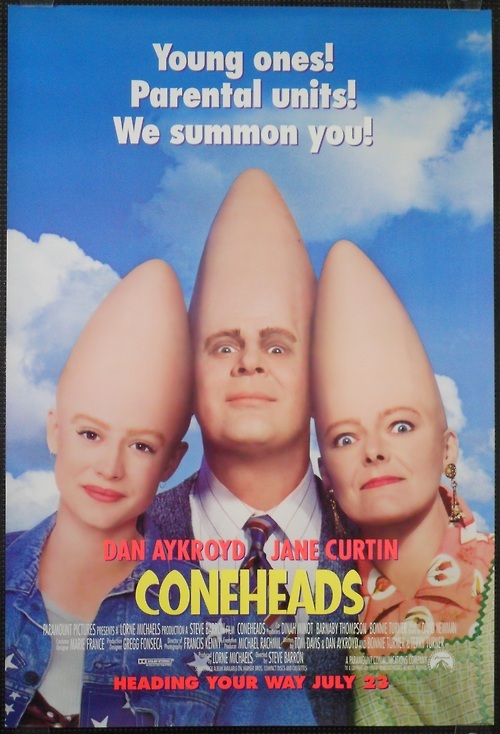 There’s something special in my memory about Coneheads, but I can’t quite place it. I’m fairly sure that I had a friend in Kindergarten or first grade who talked about it fondly, but the only concrete recollection I have is that there were a few clips of it in a Paramount promotional montage on a couple of tapes I liked to watch a lot. And more recently, I’ve seen some of the original sketches. Since my memories are so hazy, and there are a few alternative options, I’m going to conclude for now that I haven’t seen it before, and if I did, it was so long ago that nothing really stuck and my view will still be fresh. However, in the interest of transparency, I’m making this decision public. While not as widely talked about as other Saturday Night Live spinoffs, this seems to have a pretty positive reputation. The concept certainly offers room for a full-fledged plot and lends itself to a higher budget. In fact, it may be so much more of a movie concept than a sketch concept that it becomes hard to remember it got its start on SNL, like Blues Brothers. Wild Wild West. Warner Bros. Et al. 1999. 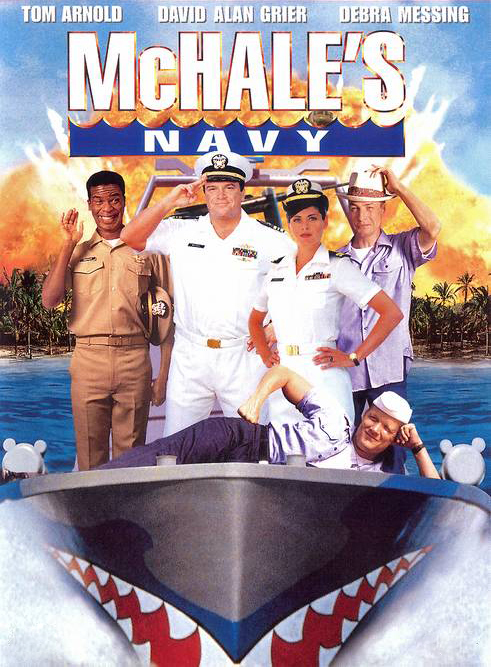 I promised a Leslie Nielsen film this week, but the library didn’t come through for me yet, so here’s this. I’ll see Spy Hard when I can get it. I’ve been told this is not a good film. Moreover, that it only did as well as it did at the box office because of underage teens sneaking into the South Park movie. 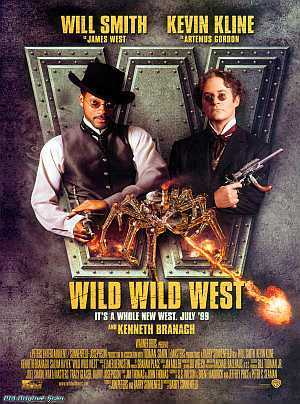 It has Will Smith, action, humor, and steam-powered mechs in the Old West, so it can’t be so very disappointing as all that. 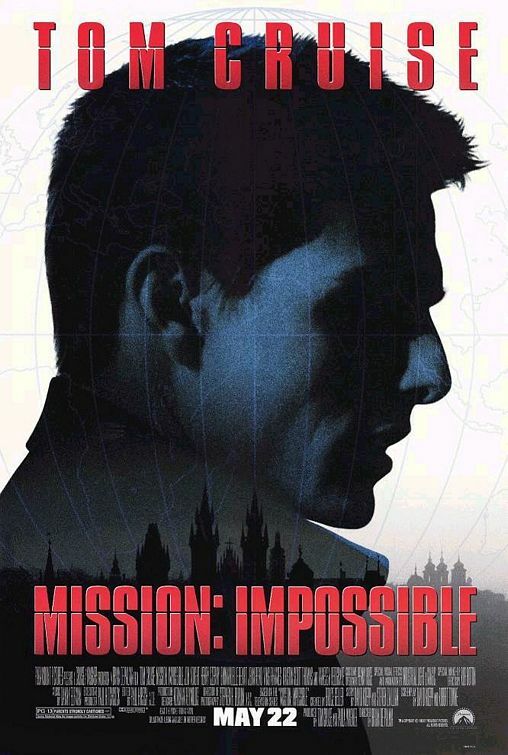 Mission Impossible. Paramount Pictures 1996. Add this to the list of “how did I let this wait 14 years?” This movie is action, suspense, and big-name stars. It draws upon a hit TV show with an iconic theme. It is the Hollywood spy movie. I have to admit I’ve never seen an episode of the series, so I can’t appraise it on that level. Also, back then, nobody ever thought Tom Cruise would go publicly insane. 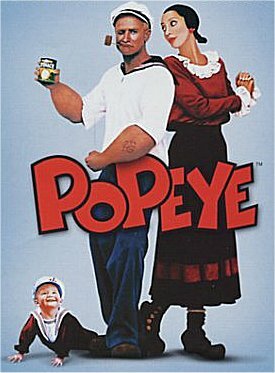 Popeye, cartoon legend. Robin Williams, cartoonish legend. Still, while nobody does “animated” like Williams, he’d hardly be my first choice for the salty, mumbling strong man of the sea, especially at the peak of his cocaine-addled supersonic phase.